(Okay, it's not Tuesday, but I just posted, so this will have to wait a day or so.) First, I have to thank The Broke and The Bookish for this meme -- haven't done many memes lately but this one made me laugh. 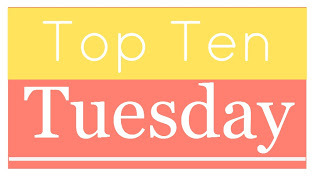 . . especially when I looked back on my postings and I did this list back in 2011!! And I've only read three books from the first list, one of which I tried and abandoned. 1. The Love Child by Edith Olivier. Read about this after many rave reviews, especially by Simon at Stuck in a Book. Ordered this and had it shipped from England -- from England, I tell you!!! Still haven't read it, more than two years later. 2. 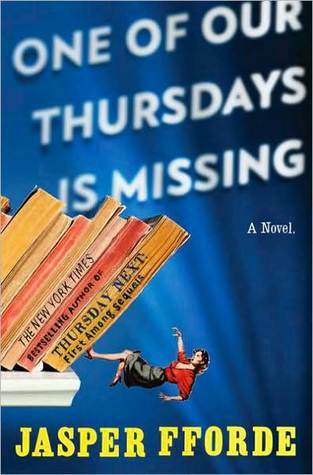 One of Our Thursdays is Missing by Jasper Fforde. 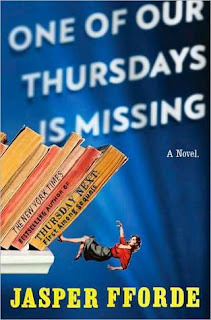 I was terribly disappointed to miss Jasper Fforde at a book signing up in Austin, a mere 80 miles away -- I didn't hear about it until later the same night, and I'd never have made it in time. I was consoled by one of the signed copies he left behind at BookPeople, the best independent bookstore in Texas -- maybe the whole world! And yet it is still unread. 3. The Unknown Ajax by Georgette Heyer. In December of 2011, my library's Jane Austen book group had a Georgette Heyer discussion -- we didn't have enough copies of any single book, so everyone chose a different book and gave a booktalk. I read The Grand Sophy and absolutely loved it, and promptly read two more Heyer books in quick succession. Then I went out and bought The Unknown Ajax, and haven't read any Heyer since. 4. Millions Like Us: Women's Lives During the Second World War by Virginia Nicholson. Another book purchased from the UK after reading rave reviews on the blogosphere. I love reading about the War at Home, but I still haven't picked this one up. I'm currently obsessed with nonfiction so maybe I'll be inspired to read this one soon. 5. To Marry an English Lord by Gail MacColl and Carol Wallace. I didn't so much buy this one as hand it to my husband in a bookshop (not long after the first season of Downton Abbey) and strongly suggest he purchase it for my upcoming birthday. (I'm not very subtle about birthday gifts.) That was two years ago. 6. A Game of Hide and Seek by Elizabeth Taylor. See #5. Same trip to the bookstore, same birthday. I haven't read this one either!!! 7. 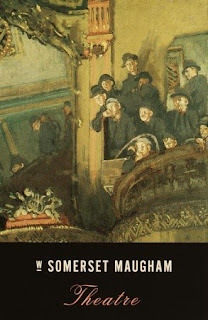 Theatre by W. Somerset Maugham. Not long after reading The Painted Veil (and loving the film adaptation) I drove over to Barnes & Noble one night and couldn't decide if I should buy Theatre or A Christmas Holiday. So I bought both -- about four years ago!! I did read A Christmas Holiday and was underwhelmed. I have higher hopes for Theatre. 8. The Edwardians by Vita Sackville-West. Bought last year after watching the second season of Downton Abbey. (Do we see a pattern here?) This is actually the second copy, the first copy was all warped and I sent it back to Amazon in a fit of pique. 9. The New York Stories of Edith Wharton. A lovely NYRB books edition, bought before the Borders liquidation, but I'm sure I bought it at a discount with one of the multitudes of coupons they were forever giving me. I don't think I ever paid full price for anything at Borders, ever, and I'm sure their demise is partly my fault. I've put this one on my TBR Pile Challenge list for 2013, as an alternate, so I'm determined to finish it this year. 10. The Sisters: The Saga of the Mitford Family by Mary S. Lovell. Purchased back in 2006 after I read Love in a Cold Climate (ironically, I was living in Florida at the time.) I read Don't Tell Alfred as one of the alternates on my 2012 TBR Pile Challenge, so I'd really like to read this one soon. I still have almost 200 books unread on my shelves. Still, half the books I read last year came from my own shelves, which is not bad considering I work in the library and am faced with literary temptation more than 40 hours a week. At least I don't work in a bookstore! And what about you, bloggers? Any books on those shelves you couldn't resist. . . and still haven't read? In honor of the second annual DWJ March, I've written a guest post for Kristen at We Be Reading. She's posed the question: What makes Diana Wynne Jones magical? Well, I don't know about everyone else, but the first thing I thought of was how Diana Wynne Jones is one of the brilliant children's authors whose works really stand the test of time. To me, she's just as good as J.K. Rowling. 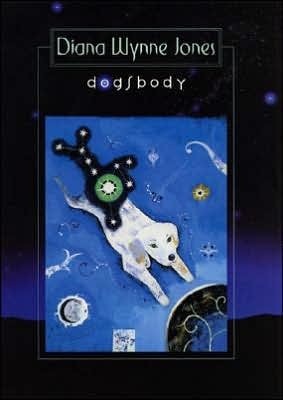 I read my first DWJ book, Dogsbody, years ago when I was in middle school. 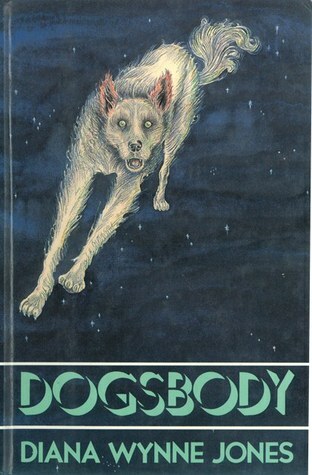 I probably picked it up because there was a dog on the cover, and even though I didn't get some of the British slang and references until years later, the story completely transported me. If you haven't read it, it's one of her first works, and a fantastic book. Anyway, in Dogsbody, Sirius, the Dog Star, is not just a star, he's a sort of a celestial body personified. The story begins with Sirius on trial for murder by his peers, and he's sentenced to live a dog's life -- literally -- on Earth, unless he can find a mysterious object called the Zoi. Otherwise, he'll spend the rest of his natural life as a dog, and die here. Sirius is reborn as a puppy, and is rescued from drowning and found by a lonely girl, Kathleen. Kathleen is Irish and is living an almost Cinderella-like existence with some horrible cousins in England, while her father is serving a prison sentence for his involvement with the IRA. Sirius is renamed Leo and is Kathleen's salvation, and as he grows, he becomes protective and attached to her as he searches for the Zoi. He becomes torn between his love for Kathleen and his desire to find the Zoi and return to his life as a celestial being. I have an autographed copy of this edition!! Really!!! It's a great story and I read it over and over as a child. I never could find any more books by Diana Wynne Jones -- back then we didn't have inter-library loan, and the bookstores in my town were pretty lame. I essentially forgot all about Diana Wynne Jones until 2005, when I spotted a copy of Howl's Moving Castle at a bookstore in a Japanese train station when we were stationed there -- I think it was in Kyoto. Every Japanese train station has a bookstore, but the supply of English-language books is pretty limited. I'm sure it was only available because the movie version had just been released, though I never got to see it on the big screen. Anyway, since then I've read lots more Diana Wynne Jones books, and I've reread Dogsbody several times --it's just as good thirty years later! I'm pleased to see there's a new paperback edition with a brilliant introduction by Neil Gaiman. It's worth buying just for Gaiman's intro, which is very touching and got me all choked up. I'm still trying to finish the complete works of Diana Wynne Jones, but one of the nicest things is that I share her books with my own children. My youngest is almost twelve and loves Howl, which just thrills me to bits. To me, any author that you can pass down to a new generation is the definition of magical. This is cross-posted on Kristin's blog, We Be Reading. I signed up for the TBR Pile Challenge again this year because I'm always trying to read those neglected books on my shelves. The best thing about it is that I find great books and say to myself, "why, why, WHY did I wait so long to read this???" Which, theoretically, could be the worst thing about it -- I end up kicking myself for not reading them sooner. But I suppose I should just be grateful that I finally did. 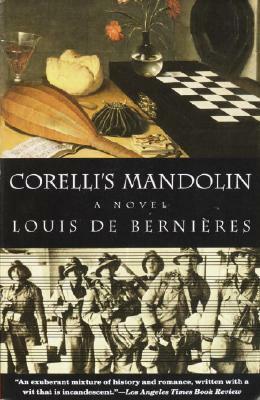 Corelli's Mandolin is just such a book. This was very popular about ten years ago, and it's #19 of the top 100 books in the BBC's Big Read survey. I bought my copy about 2002, while I was still living in Nebraska. (It's pretty easy for me to remember how long I've had books -- I just remember where I was living when I bought them. Since I move almost every three years, I can usually guess pretty accurately). It was one of the selections for my book group, and I started it and liked it, but something happened and I never got very far. I don't know why I never finished it. Before I digress, here's the basic setup. Set in the early years of WWII on the Greek island of Cephalonia, this is the story of Dr. Iannis and his beautiful daughter Pelagia, and their experiences during and after the war, and of Antonio Corelli, and Italian officer who is billeted in their home after the Axis forces invade. However, it's much more than that. It's told in multiple viewpoints, so we get the glimpses into the experiences of Greek partisans, Italian soldiers, and even Mussolini himself. The book is both comic, tragic, and satirical, and explores the horrors of the war and its aftermath, and about human nature. I really enjoyed this. I'd never read anything by de Bernieres, and I liked his writing style. I liked reading about the different characters and the shifting viewpoints, because there's so much going on in a war. I do wish there was more background on Corelli's character, and I was a bit disappointed in the ending (highlight if you want to read more): I just thought having Corelli magically reappear more than thirty years later was unrealistic -- if he'd really loved Pelagia, he probably would have found out that she wasn't married -- it seemed pretty lame. Also, what happened to him and how did he survive the rest of the war? There's so much that was unexplained, I felt like de Bernieres got tired of his character and didn't know what to do with him. Last year, one of my favorite reads from the 2012 TBR Challenge was A Bell For Adano, which is about the American occupation of a small Italian town. I did see parallels with Corelli's Mandolin. Most of what I know about World War II is about Germany, England or America -- I know next to nothing about the war in other countries. Before Adano I knew nothing about the war in Italy, and before this book, nothing about the war in Greece. I'm still fascinated by World War II -- I suppose one could study it for an entire lifetime and still not know everything about it. I suppose that's why it's such a popular subject. I don't think there's any other war that has had more books published about it, except maybe the American Civil War. Well. I'm pleased to have completed another book from my TBR list. Two down, ten to go! 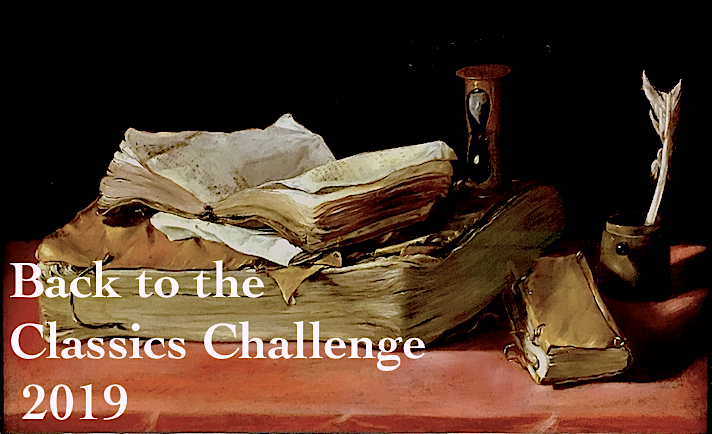 Is anyone else signed up for the TBR Pile Challenge? How are you doing? And has anyone seen the movie version of Corelli's Mandolin? What did you think? Well, we got the results of our Classics Spin two weeks ago, and my selection is #14, The Mystery of Mrs. Blencarrow by Margaret Oliphant! Yes, the only Persephone on the list, and the third one I've read in two months. First, a bit about Mrs. Blencarrow. Frankly, I can't say too much, because I'd basically give away the entire mystery -- though once the plot is set in motion, the answer is pretty obvious. Bascially, this is the story of a wealthy youngish widow, Mrs. Blencarrow, who lives on an estate with her children. She's got several children, and the oldest is nearly of age, so she can't be older than her late thirties. Mrs. B. is very self-possessed and well-respected, but in the first chapter, someone mentions that there is "something curious in Mrs. Blencarrow's eyes. . . . She looks you too full in the face with them, as if she were defying you to find out anything wrong about her." Well, heaven forbid -- she must be up to something! What's interesting is how everyone reacts to their suspicions. Nasty rumors fly about, her brothers come rushing in to confront her -- it's very Victorian and overly dramatic to the 21st century reader. Mrs. Oliphant was obviously trying to make a point, and ultimately, it's poignant and sad. The second novella in the volume is Queen Eleanor and Fair Rosamond. Published in 1886, this is also a story about a strong female character, a married woman named Mrs. Lycett-Landon, the wife of a wealthy Liverpool businessman, again with a houseful of children. Mr. Lycett-Landon is forever traveling back and forth between London and Liverpool, and though the family appears quite happy from the outside, they're always a little happier when Mr. LL is away on business. Gradually he spends less and less time in Liverpool and hints are dropped, and his wife decides to do a little digging, with some shocking (to her) results. Again, not so much a mystery to modern readers -- I could guess the plot twist almost immediately -- but maybe it was for Victorian readers. I preferred the second story. I also appreciated that the publishers included an afterward instead of a forward -- I hate it when publishes spoil the plot, I rarely read introductions until after I've finished the story. Anyway, the afterward includes some background and insights into the novellas and the author. Mrs. Oliphant was a Scottish widow, a woman with very little education who became a prolific writer during the Victorian era. 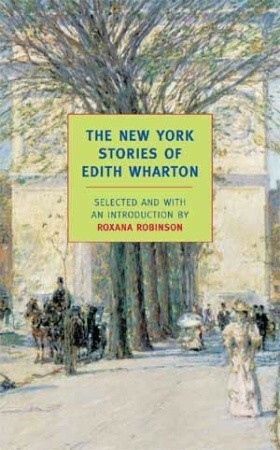 She began publishing novels when she was 21, and her finished works totaled more than 100, which is astonishing for a woman writer in that era. At the time, she was as well known as Dickens, Trollope, and Eliot, though few of her works are still in print. Besides this one, I think the only other one currently in print is Miss Marjoribanks, which is still on my to-read shelf. It's quite long but now I'm inspired to read it and will hopefully get to it by the end of the year. 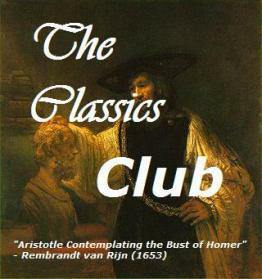 This also counts as my 19th Century Classic for the Back to the Classics Challenge 2013. I bought this book just after Christmas, but kept avoiding it. Big fat nonfiction books tend to scare me, which is a little stupid. Some of my favorite reads last year were nonfiction, and one of my favorites was a biography, Becoming Queen Victoria by Kate Williams. However, I realized it was available in audiobook format, and last year I submitted it to the "Suggest A Purchase" feature on the library's website. They did buy it, and after months of waiting, it finally arrived in January. I really, really enjoyed this book -- I used to think biographies were dry and boring, but either I was reading the wrong books, or they've gotten much better lately. This was fascinating stuff. I knew the basics about Dickens' life from bits and pieces I'd picked up after reading his books, but to learn about his life from start to finish was quite fascinating. Of course, many readers know now that he was forced to work in a blacking factory as a child after his father was sent to debtor's prison, the inspiration for his favorite novel, David Copperfield. 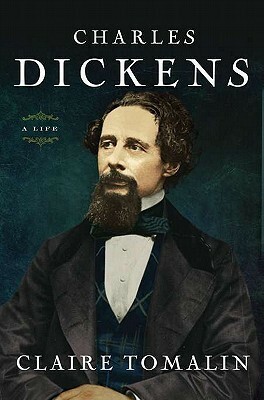 I loved learning about Dickens, and having read most of the novels, it was interesting to place them into the context of his life. Though I've enjoyed most of his books, and absolutely love some of them, I learned some things about him that I didn't like very much. He was a complicated person. His childhood was difficult, his father was terrible with money, and even though Dickens seemed to work tirelessly, he was constantly faced with demands for financial support from his father, his brothers, and his own children, most of whom were not terribly successful. Dickens definitely had faults -- his now-famous liaison with a much-younger actress Nelly Ternan is pretty scandalous, and it seems like he was pretty cruel to his wife, and sometimes his children. But Tomalin obviously did amazing research and puts it all together in a way that's easy to follow. Just reading his handwriting alone is a triumph -- I've seen some Dickens' original letters and manuscripts in exhibits, and he's nearly indecipherable. I think listening to something challenging makes it a little bit easier. For me, it's a little less intimidating if I start with an audio of a book that scares me. I can take it in bits and pieces, and then I'm not as scared to tackle the print copy. In this case, I listened to it a little bit every day while driving to and from work in the car, and I really enjoyed it. I always try to have an audiobook in the car because the radio here in my city is just dreadful. (I like NPR but I can't listen to the news too much because I find it too depressing). Also, I usually have a print copy so I can read the book at home (and sometimes a second library copy at work) -- otherwise I'd sit in the driveway listening! However, then I find it takes me forever to find my place in the audio when I get back in the car. This time I resisted because I was really enjoying the audio version. I listened to almost the entire book, except when I got to the end of the three-week checkout period and I couldn't renew it because there were holds on it. The Pickwick Papers, The Old Curiosity Shop, and The Mystery of Edwin Drood. Which one should I read next? Which other books about Dickens are must-reads? And how do you feel about audiobooks?